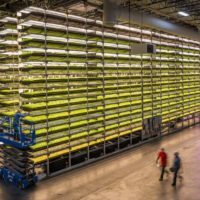 Below, I speak with Gotham Greens CEO Viraj Puri about how the urban agriculture company uses closed loop hydroponic growing technology to limit agriculture’s use of land and water and reduce chemical use in our food production. By locating their farms in cities and by utilizing technology allows them to achieve yields that are up to 30 times more crop per acre than conventional agriculture (powered by 100 percent renewable electricity), Gotham Greens aims to reduce agriculture’s impact on natural ecosystems. The company is also working with Crop Trust and Tender greens to grow heritage seed varieties. Danielle Gould: How is biodiversity a priority for Gotham Greens? Viraj Puri: We look at biodiversity in terms of preserving natural ecosystems and habitats by utilizing state-of-the-art technology to limit our use of natural resources. Agriculture is the largest consumer of land and fresh water on the planet. It is also the leading cause of global water pollution, so it’s important that all farmers and food producers take an honest look at how their farming practices effect the world’s limited and dwindling natural resources. DG: How does Gotham Greens define and think about biodiversity? What does an ideal biodiverse food system look like? How do you measure biodiversity, and when will we know when we’ve arrived at a “good” level of biodiversity? VP: Increasing biodiversity helps ensure that we have a more secure global food supply that is naturally resistant to climate change as well as pest pressures. Monocultures and the loss of biodiversity of crop varieties can lead to systemic collapse of entire sources of food supply and collapse of ecosystems. Modern, production agriculture can inherently be destructive to natural ecosystems and biodiversity. An ideal biodiverse food system utilizes a range of production techniques that use fewer resources while being adapted to their unique geographic context. Gotham Greens’ commercial scale urban greenhouses utilize a closed loop growing technique centered around hydroponics. Since we grow hydroponically without the use of soil, we think of biodiversity in terms of preserving water and soil resources and reducing harmful chemical use in food production. Gotham Greens’ greenhouses are powered by 100 percent renewable electricity and yield up to 30 times more crop per acre than conventional agriculture. We do this while using 90 percent less water and eliminating agricultural runoff and the use of harmful chemicals. We’re typically growing dozens of plant varieties and we utilize carefully selected seeds that are non-GMO Verified. We also introduce beneficial insects and pollinators into our facilities to assist with integrative pest management so our products can be pesticide-free. Our goal at Gotham Greens is to use the least amount of natural resources possible and to utilize clean farming practices. We believe the best level of biodiversity comes from leaving ecosystems and wildlife in their natural habits. 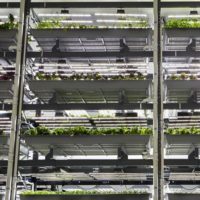 Urban farming makes use of space that wouldn’t traditionally be used for agriculture such as former industrial sites, rooftops, backyards and parking lots. By growing highly perishable produce such as leafy greens and herbs in urban greenhouses, we’re able to eliminate the long-haul transportation that’s typically associated with these products. Theoretically this also creates an opportunity for rural farmers to encourage greater biodiversity in their crops by focusing on growing a more diverse array of products. It also allows former farmland to potentially return to its natural state. VP: Climate change, population growth and urbanization are threatening biodiversity worldwide. Our goal for the agriculture industry is that more indoor growers will use technology to advocate for more efficient, clean farming practices that utilize far less natural resources while increasing transparency within the supply chain. Unlike other types of indoor farming, Gotham Greens’ urban greenhouses utilize natural sunlight, limiting our company’s energy consumption. Since launching in 2011, Gotham Greens has grown from a single urban rooftop greenhouse in Brooklyn, New York to a multi-region indoor farming leader and one of the largest hydroponic leafy greens producers in North America. As we’ve scaled up our business, we’ve also increased our commitment to using 100 percent renewable electricity to power all of our facilities. DG: What is Gotham Greens doing or planning to do to promote biodiversity? In additional to using sustainable growing practices, we are partnering with other like-minded companies like The Crop Trust who are committed to preserving the genetics of heritage seed varieties. Earlier this year I joined the founder of Tender Greens, Erik Oberholtzer, at the Crop Trust’s new Food Forever reception, supporting an initiative designed to educate people around the world about the importance of crop diversity for the long-term stability of the world’s food supply. According to The Crop Trust, 75 percent of the food we eat globally comes from 12 plants. In fact, 4 plants give us 60 percent of our global calorie intake, which is not sustainable and leaves our food system extremely vulnerable. We are working with The Crop Trust and Tender Greens to explore opportunities to grow heritage seed varieties in our greenhouses that can introduce more diversity within our food systems and make it available to consumers at fast casual restaurants like Tender Greens. VP: Consumer’s palates are changing and people are beginning to seek out more variation in the types of foods they’re eating. By growing more varieties, we are protecting a large genetic seed bank. Farmers and chefs can use this as a point of differentiation when promoting their products to consumers. Dan Barber’s recent launch of the Kogninut Squash is a great example of this. VP: Recent investments into agriculture are unprecedented. I believe that this is not a passing trend as people are always going to need food. This also means that there is endless opportunity for innovation. Without greater diversity in seed types of our crops, our global food supply becomes weakened . To safeguarding the natural diversity that we currently have, I believe it helps to estimate the financial value of ecosystems as “natural capital.” An example of this can be seen right here in NY. Over the last 20 years, New York has spent $2 billion protecting the natural watershed that supplies the city with clean water. It has worked so well that 90 percent of the water needs no further filtering. Building a water treatment plant instead would have cost $10 billion. VP: Large scale commercialization of agriculture has led to monocultures and the loss of seed varieties. 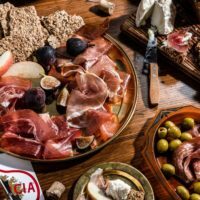 A balanced diet is derived from a diverse range of foods so eating `forgotten foods,’ or the traditional foods and crops that our ancestors once ate, could play an important role in the future of a more healthy and stable global food supply. Chefs have a unique opportunity to use their buying power to advocate for greater diversity in the foods they serve. 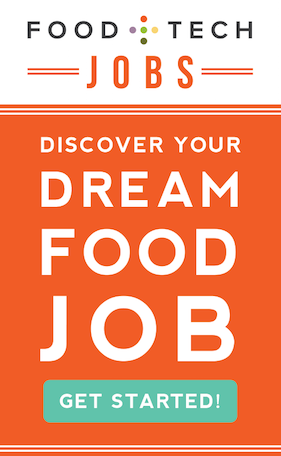 Food manufacturers, have an opportunity to introduce consumers to obscure, delicious foods. A successful examples of this can be seen in the proliferation of foods like quinoa and chia seeds, which were brought to market and made mainstream by consumer brands. VP: I’d love to see a greater variety of genetics and biodiversity available to consumers at the supermarket. I also believe there needs to be a more diverse variety of ways that foods are being grown. In order for this to happen, we will need to safeguarding biodiversity and consider crop diversity as a global common good to build on for the future. Government regulations that support the sharing of seeds across borders will help facilitate this, as without an open exchange of seeds across borders, breeders will be unable to develop the type of seeds we’ll need in the future to stand up to climate change. 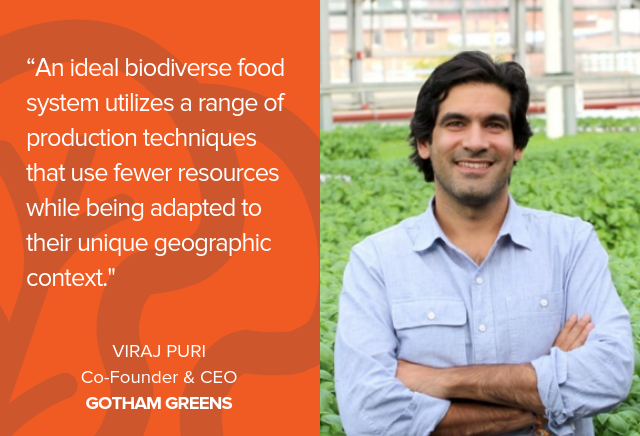 Viraj co-founded and serves as CEO of Gotham Greens, a worldwide pioneer in urban, indoor agriculture. Gotham Greens provides its diverse retail, restaurant, and institutional customers with reliable, year-round, local supply of produce and fresh food products produced under the highest standards of food safety and environmental sustainability. The company’s non-GMO, pesticide-free produce is grown using ecologically sustainable methods in technologically-sophisticated, 100% renewable electricity-powered, climate controlled urban greenhouses. Prior to Gotham Greens, Viraj developed and managed start-up enterprises in New York, India and Malawi, Africa focusing on sustainable agriculture, green building, renewable energy, and environmental design. His written work has appeared in several books and publications including, “100% Renewable — Energy Autonomy in Action” and the UN Academic Journal. He has received fellowships from the TED conference, Wild Gift, and the Environmental Leadership Program. Viraj is a LEED® Accredited Professional and received a B.A. from Colgate University. 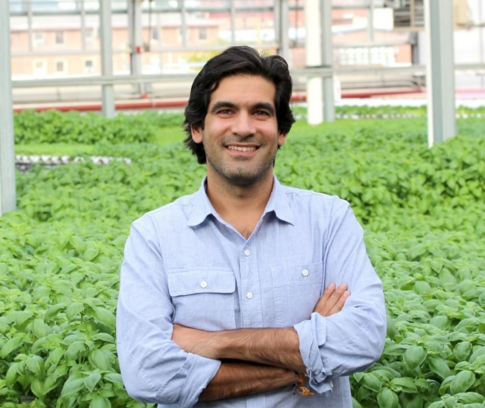 Under Viraj’s leadership, Gotham Greens has grown to employ over 160 employees and become one of the largest and most commercially successful urban agriculture companies in the world. Gotham Greens employs over 160 employees across 4 greenhouse facilities in NYC and Chicago totaling 170,000sf and is currently developing an additional 500,000sf of greenhouse in cities across the United States. Gotham Greens was named one of the ‘Coolest Businesses in America’ by Business Insider and was founded in 2009 in Brooklyn, New York. www.gothamgreens.com.